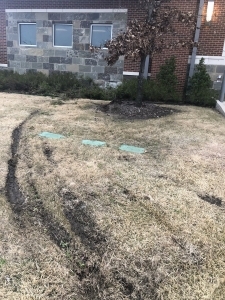 GRAND PRAIRIE (WBAP/KLIF News) – A typical Monday morning turned turned chaotic after a suspected drunk driver crashed his car into a Grand Prairie fire station. It happened at Fire Station 1 on West Main Street around 6. Claudia Garibay with the Grand Prairie Fire Department said the building did sustain some structural damage but it could have been worse. “Fortunately, the firefighters are okay and no one was hurt,” she said. Police arrested the driver on DWI charges.